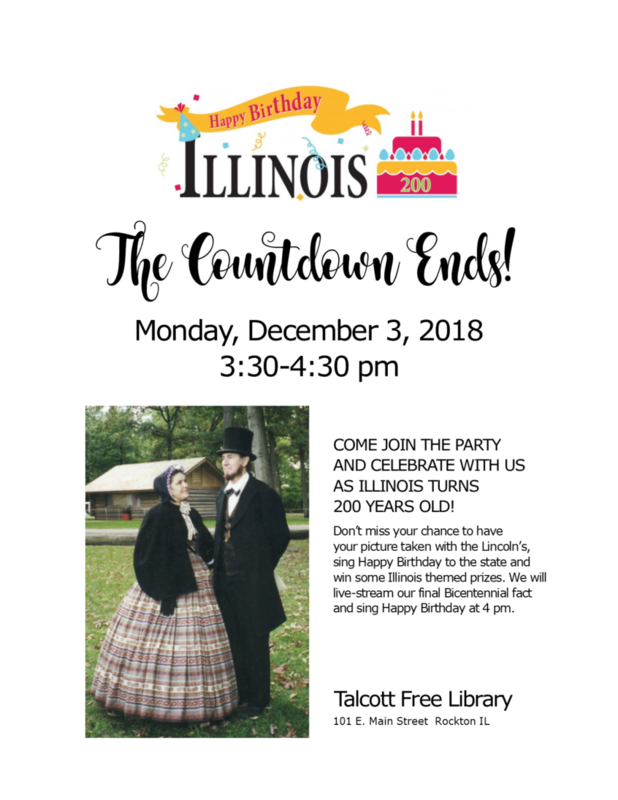 Come join the party and celebrate with us as Illinois turns 200 years old! and win some Illinois themed prizes. and sing Happy Birthday at 4pm.